Whether he's discussing how to reconcile economy with ecology, why a warmer world will result in more poison ivy, why Britney Spears gets more hits on Google than global warming does, or why we might need to start eating jellyfish for supper, David Suzuki points the direction we must take as a society if we hope to meet the environmental challenges we face in our still-young century. 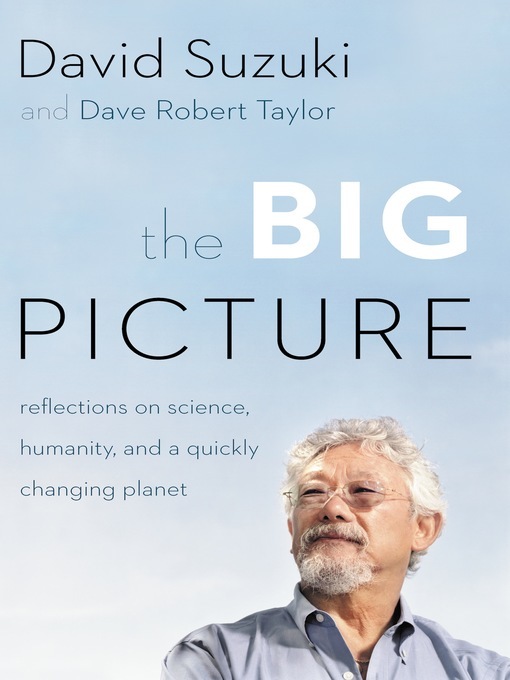 Covering suburban sprawl, sustainable transportation, food shortages, biodiversity, technology, public policy, and more, The Big Picture not only identifies the problems we face but proposes solid, science-based solutions. These engaging essays look beyond environmental challenges to examine the forces that are preventing real change from occurring. Together they tell the story of a species struggling to come to grips with its own biological nature, a nature we must ultimately embrace to live in balance with the systems that sustain us.